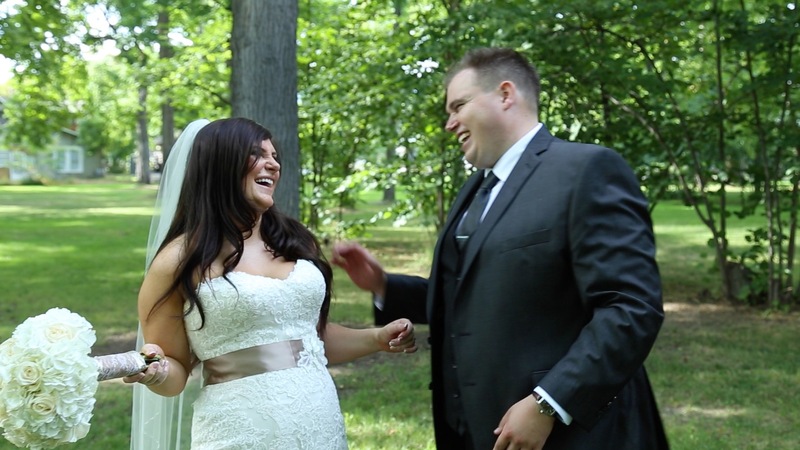 Katie did a phenomenal job on our wedding video! Our wedding video is our most prized keepsake of our wedding day and we both watch it regularly as a reminder of what a wonderful day it was! From talking with friends who have used other videographers, we feel like the service Katie provided was above and beyond. Katie and her second shooter were nothing but professional and a pleasure to work with! The day goes by so quickly, it’s hard to remember all the details. The video Katie created for us allowed us to relive the day! Katie’s video captured the day so perfectly. We had a wonderful experience with Katie Elizabeth Studio! Katie was wonderful, very accommodating and easy to work with. She gives suggestions yet if you have something in mind she is open and willing to get you what you want. What is great was she was able to capture our personalities, our family, friends, our essence and energy perfectly. We were so happy with the finished product and couldn't be happier we went with Katie. Highly recommend to use her skills and talent because she was overall fantastic. We hired Katie as a videographer for our Fall wedding and we couldn't be happier with how the video turned out! She was able to capture important moments and created the perfect video of our special day. She was very professional, fun to work with and quick to provide the final video. You won't regret hiring Katie!